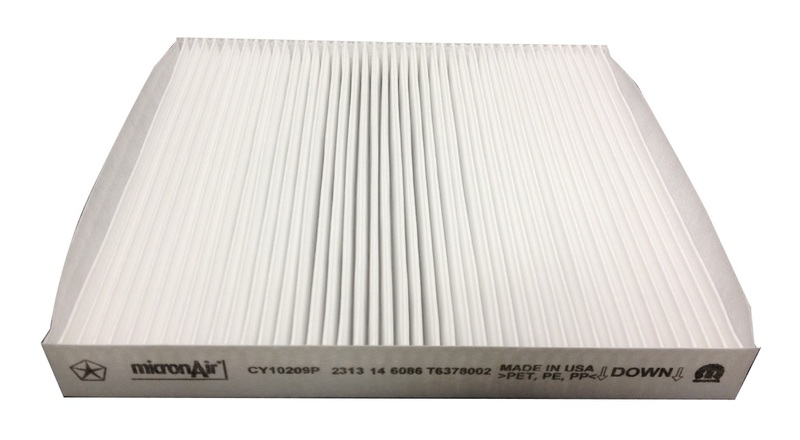 The cabin air filter cleans the outside air that enters your Jeep Grand Cherokee's heating and cooling system. Jeep recommends changing the filter every year or 15,000 miles, or more often if the performance of your heating or air conditioning systems is declining. A new filter not only ensures cleaner air for you to breathe, but will also keep your heating and cooling system cleaner, which allows it to operate more efficiently and can help extends its life. Breathe easier with a replacement cabin air filter for your Grand Cherokee from JustforJeeps.com. Great source if you think you get what you pay for. This is a great option if you want the OEM replacement, however $36 is more than you should ever pay for a cabin air filter! There are many great aftermarket options from reputable manufacturers for under $15, some even under $10! Read your manual and check out youtube if you are unsure about how to change this easily replaced, yet easily overlooked part. Literally a 2 minute job! Never get ripped off paying $30+ for a CAF again! This is a cabin air filter that is exactly the same as what came from the factory. Easy to install if you are just a little bit handy. Saved a bunch of money doing it myself rather than having dealer replace it. ProsReally improved cabin air quality. The old one was pretty dirty after two years. ConsNone, but you do have to remove the glove box. Easy if you follow instructions. There are YouTube videos on the internet showing how as well. Factory OEM part, Easy Peasy to change. Un-clip glove box shelf. Slide old one out, slide new one in. Clip glove box shelf back in place, Done in 2 minutes. Glad to have found you on the internet. An answer to prayer. Great service and products. Perfect replacement. OEM MOPAR cabin filter which exactly replaced filter that came with the vehicle. Air conditioner seems more effective since replacing original dirty fllter. Exact OEM fit. Noticed an immediate change in cabin smell. Takes less than 5 mins to change. Dealership quoted me $100+ to change this. Don't be taken advantage of and DIY. Immediate sense that the air feels and smells fresher. A little pricey, but comparable. I would try to look for an alternative.